“She’s starting to realize now that she’s safe." 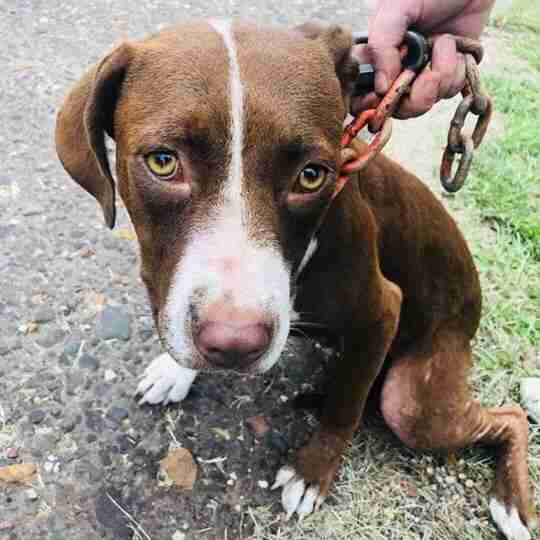 The 1-year-old dog was skinny and sickly-looking, and she had a thick metal chain wrapped around her neck — and Leslie Ysuhuaylas, an independent dog rescuer, knew she had to help her. 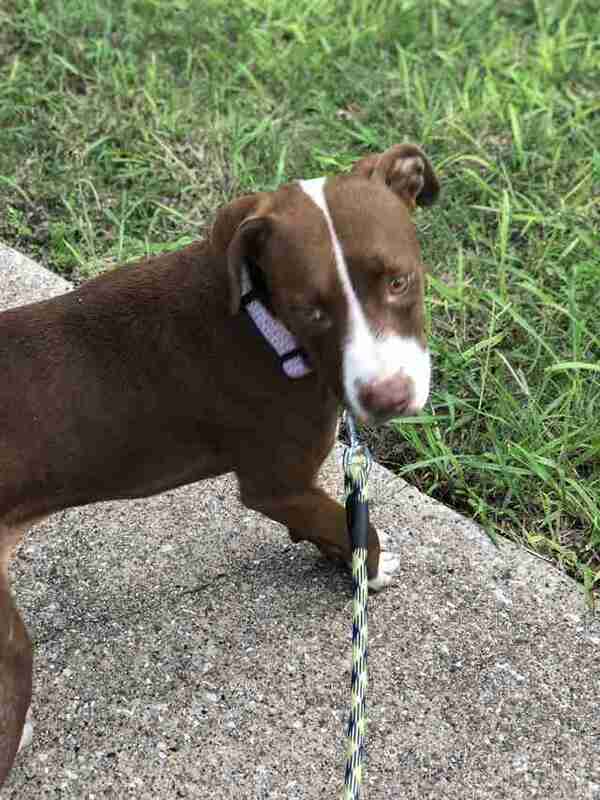 Last week, Ysuhuaylas and Rebecca Callister, director for animal services at New Life IFS Rescue, went into an east Texas neighborhood to rescue another dog and her three puppies when they spotted the chained dog nearby. At first, they both assumed the dog was a stray, or that she’d been dumped on the streets by her former owner. But they eventually figured out that she — along with the mom dog and puppies — actually belonged to a resident, and it was pretty clear the resident wasn’t taking care of them. When Ysuhuaylas and Callister spoke with the owner, the owner agreed to surrender the dogs to them. 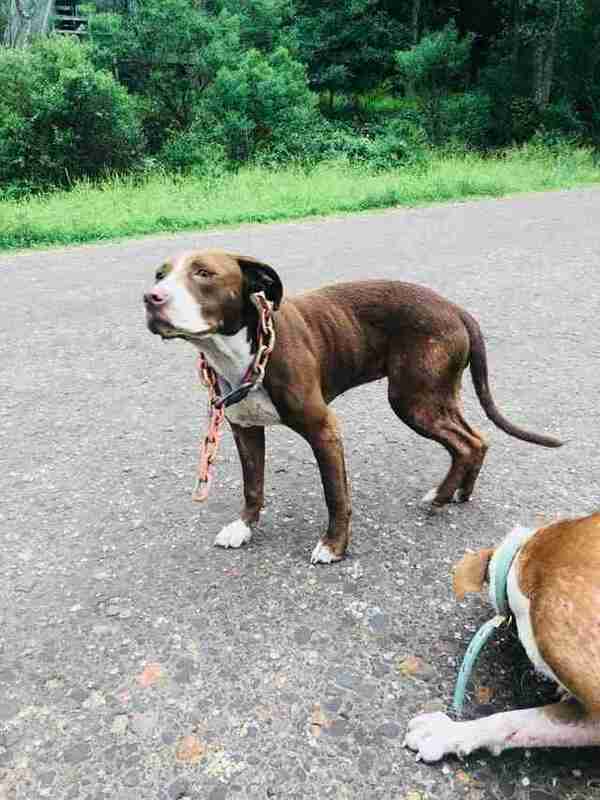 As soon as they’d driven the dogs to safety, Ysuhuaylas removed the heavy chain from the dog, whom she started calling Dudette. 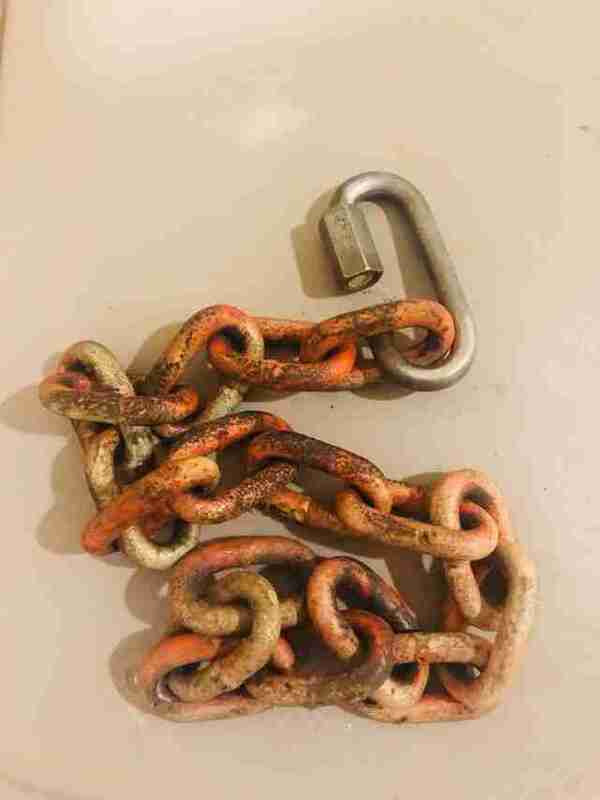 She guessed the chain weighed at least 2 pounds. Dudette and the others dogs spent the night at Ysuhuaylas’ home, then went to the vet the next morning. All the dogs turned out to have coccidia, a dangerous parasitic infection that attacks a dog's intestines, but they all pulled through. 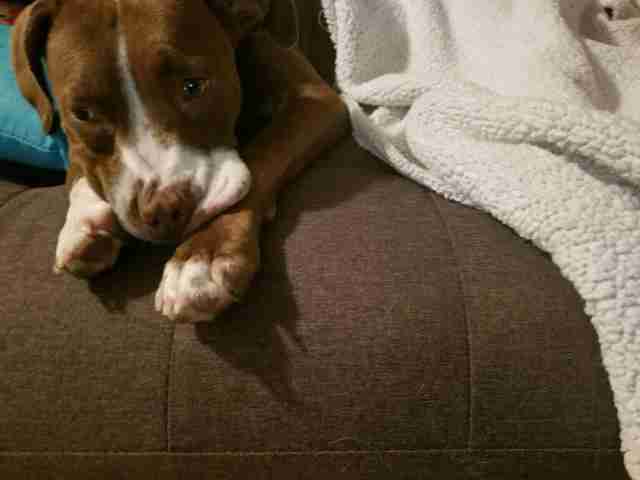 When Dudette was well enough to leave the vet, she went into foster care with New Life IFS Rescue. But each day that passes, Dudette, who’s been renamed Angel, becomes a little more confident. This is largely due to a dog named Coco, with whom Angel is sharing her foster home. When Angel is eventually up for adoption, Callister hopes someone with a lot of patience will end up taking her. If you’re interested in adopting Angel, you can contact New Life IFS Rescue.